Are wondering where the best Wisconsin Chevy dealer to start your search for Chevy SUV models is near Mukwonago WI? Then check us out at Ewald Chevrolet Buick. Ewald’s Chevy dealership near you has Chevy SUV models in a variety of styles to choose from in our diverse inventory. From a used Chevy SUV models to new SUVs for sale, Ewald’s Chevy near Mukwonago WI has the Chevy SUV for sale that you want at affordable prices. If you are looking for a new or used Chevy SUV for sale to meet your lifestyle needs, Ewald’s Chevy near Mukwonago WI is the place to go. We have the Chevy SUV models to match your transportation needs. Ewald’s Wisconsin Chevy dealer has an extensive inventory of Chevy SUVs for sale to choose from here. When your lifestyle demands a Chevy SUV for sale near you from a Wisconsin Chevy dealer, we have over eighty new and used Chevy SUVs available at Ewald Chevrolet Buick near Mukwonago WI. 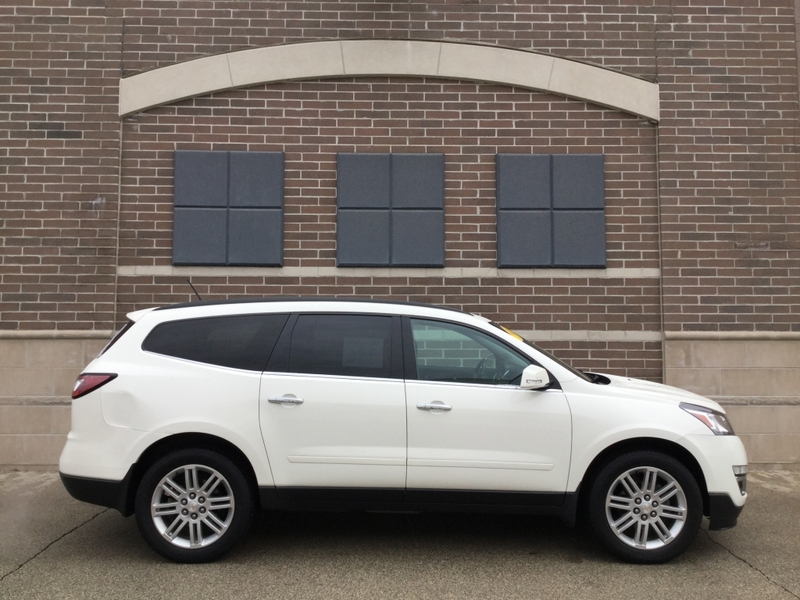 One being a 2015 Chevrolet Traverse for sale. This Chevy SUV for sale near you is sure to please accommodate large and small families alike. With 2nd-row and 3rd-row bench seating, you can comfortably fit up to eight in this used Chevy SUV for sale near you. So get ready to pack everybody in for a weekend joyride when you take on the streets of Mukwonago in this used Chevrolet SUV for sale near you. This used SUV for sale near you at Ewald’s Chevy dealership near Mukwonago WI is loaded with options to love. This used Chevy SUV for sale near you features comfortable cloth seats and more. This used Chevy model even has heated seats. What a great way to stay toasty warm in the colder Wisconsin months. You can also find rear park assist, remote start and MyLink audio with touch-screen on this Chevy SUV for sale near you. Be sure to come in and test drive this used Chevy SUV model at Ewald Chevrolet Buick. Our finance team is here to help you on your journey of buying your next Chevy SUV. Oconomowoc and Mukwonago WI Chevy SUV buyers can ask questions to help find the perfect financing option for you. Ewald’s Chevy near Mukwonago dealer wants to make sure that you find the Chevy SUV and payment that is right for your needs. Why not come to Ewald Chevrolet Buick, and check out the Chevy SUV models we have to offer you today. When you are looking for Chevy SUV models for sale at car dealerships near Mukwonago WI, make the short drive to Ewald Chevrolet Buick. Find Ewald Chevrolet Buick located at 36833 E Wisconsin Ave in Oconomowoc WI, 53066. Or give us a call at Ewald's Chevy dealership near you by dialing (262) 226-2842 to schedule a test drive today or with any questions you may have about the Chevy SUV models for sale here at Ewald.